Owning a car can be expensive. There are insurance costs, car payments, parking fees and the price of gas. When you throw repairs into the mix, it might seem like your car is a constant drain on your wallet - and one you can't get rid of. Many people rely on their cars to get to work or school. While your car and the many costs that go along with it are necessary, there are plenty of ways to cut down on car-related expenses. If you're serious about cutting down on how much money you spend on your car, you'll have to start before the check engine light comes on. Preventive maintenance can avoid larger, more costly problems in the future. This includes making sure your tires are properly inflated and changing your oil at the right time. Tires without enough air lowers your gas mileage and can put unnecessary stress on your suspension, according to Living Well Spending Less. Changing your oil is important to keeping your engine clean, working smoothly and free of dirt. However, having this done too frequently has no benefits and just costs you extra. According to AARP, many synthetic oils, which are commonly used, last longer than the oil that was used in the past. However, lingering beliefs about getting an oil change every 3,000 miles costs many car owners excess money they could be saving. Doing preventive maintenance will help reduce the chances of some car issues later on, but not every issue can be avoided. When your car does need to get fixed, spending some money is often unavoidable. However, there are some ways to stay within a respectable spending range. The first thing you will need to do is determine what exactly is wrong with the car. If it's something you can easily fix yourself, you can save some money. However, determining why your car is dinging isn't always easy. A wise investment could be an OBD-II code reader, LifeHacker explained. This on-board diagnostics device plugs into your car and tells you what the problem is. They can be purchased for about $20 online, though there are even cheaper ways to run diagnostics tests on your car. Bluetooth dongles that speak to smartphone apps that help determine issues can accomplish the same goal for less money. Once you know what the problem is, determine whether it is something you can solve yourself or if you need to go to a repair shop. LifeHacker explained some repair jobs are simple enough that most anyone can learn how to do them. This include replacing air and fuel filters, checking your fluids and changing your oil. Other things that might take some time to learn but will save you money in the long run include changing your fluids, and replacing brakes and rotors. There are plenty of ways to learn how to do these and in today's connected world, plenty of resources are available online. Auto parts stores like AutoZone and Advanced Auto Parts feature instructional videos and repair guides on their websites. "Some repair jobs are simple enough that most anyone can learn how to do them." If you determine that you do need to go into a repair shop, or feel more comfortable having an expert operate on your vehicle, there are still ways to save. AARP explained some shops will perform repairs with parts that customers bring in themselves. By doing your own shopping, you could find a better deal than buying the part through the shop. Plus, you would then have the option of using a used part that is still in good shape but less expensive than a new one. Living Well Spending Less explained salvage yards are a good place to start. Plus, there are online sites where you can find used parts from salvage yards that aren't in your area, if your make and model isn't in any nearby. When choosing a shop, be sure to do your homework. Ask for quotes from several shops as well as online to determine what a fair price is for the repair job. If you're feeling up to it, you may even be able to show one repair shop a quote from another to inspire an even lower cost. Just be sure to review the bill when everything is said and done to make sure it is similar to what you were quoted. Of course, price shouldn't be the only factor you take into consideration when choosing a shop. Quality matters, too. 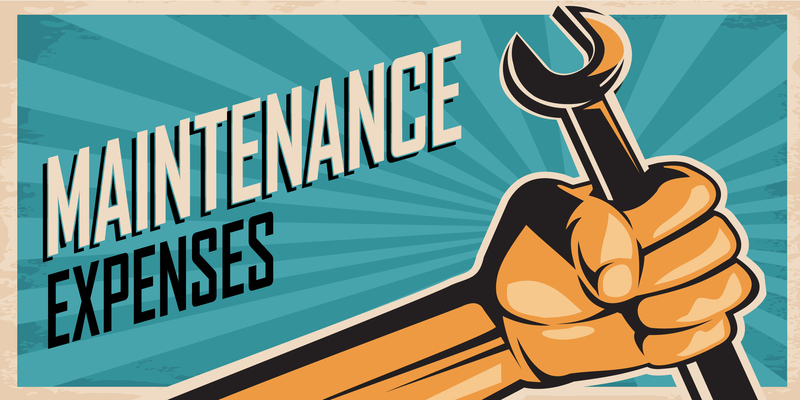 If a mechanic does a poor maintenance job, it may cost more in subsequent repairs. Ask friends, family and coworkers about where they have gone for car repairs and find out what their experiences were like. Also, use websites like Edmunds, Angie's List - if you're willing to pay for a membership - or RepairPal to find a good mechanic nearby. When taking these steps into consideration, you'll be sure to save more money on repairs and maintenance in the long run. Hi William – We are very sorry to hear you have not been satisfied with your experience and we’d like the opportunity to turn this around. Can you please send an email to RM-customerrelations@drivetime.com with your account number and the name on your account? Once we receive this information, you will be contacted.Thank you. These tips will help you to bring in a significant difference to the overall expenses incurred during your trips to car service centers. With these tips, you will also be able to make better use of the car grooming services and keep your vehicles in perfect shape. During its lifetime, your car will likely be exposed to some damage and wear, especially if routine maintenance is ignored. In some cases, the damage may be too extreme or the cost or repairs far exceeds the value of the car, resulting in it being scrapped. Thanks! This is a great post and these tips will really help!